With twice as many pixels as the previous generation, Kindle Paperwhite has an improved high-resolution 300 ppi display for crisp, print-quality text. Warm and contemporary, Bookerly is inspired by the artistry of the best fonts in modern print books, but is hand-crafted for great readability at any font size. It does its job, and does it properly. It's not complicated, doesn't distract you and I love that I can immediately check the dictionary. Love reading ebooks from this Kindle Paperwhite - no shiny screen, easy to use, portable - I actually read much, much more than I used to thanks to this Kindle. 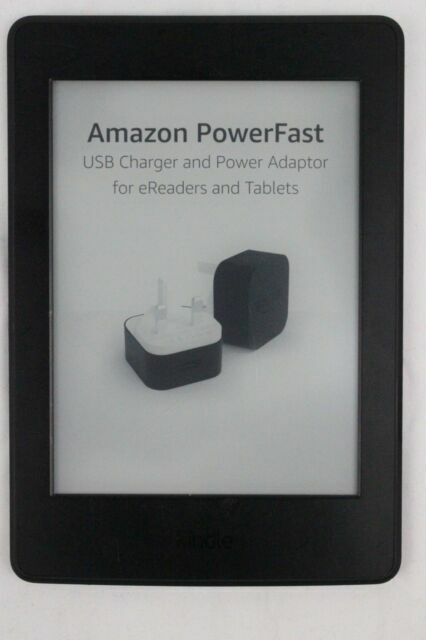 This is a good e-reader and battery has a long life, I have only charged it once since owning it. Only drawback is that a plug is not supplied with it (only the lead). A must have gadget for any reader. It's just like reading a book and just as easy to turn the pages.brilliant. Great product, perfect delivery, highly recommend!